Video Conferencing: The Key to Successful DR? Video has proven itself one of the most effective means of business communications for organizations of any size. However, with so many video vendors, service providers, and products available, how do you conquer the interoperability challenge? 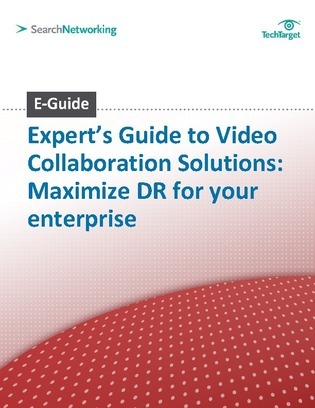 This E-Guide from SearchNetworking.com describes how businesses of all sizes are reaping the benefits of video conferencing and how this technology is playing a critical role in enterprise disaster recovery and business continuity. Also learn what considerations you should make when selecting the best video conferencing platform for your organization.